Perhaps you have collected a big amount of Blu-ray movies in disc at home. Generally, with a professional Blu-ray player, you could make use of the big screen of TV to watch Blu-ray movies. Without doubt, it’s a pleasant experience to watch Blu-ray movies at home with home theatre system. However, there are cases in which Blu-ray discs are damaged due to scratches, fingerprints, breakage, kids playing with them, etc. It will cost much once the Blu-ray disc becomes damaged. Fortunately, you get choices to backup Blu-ray disc to hard drive or blank Blu-ray disc. The questions are: what is the best Blu-ray backup software and how to backup Blu-ray movies? This post lists 10 wonderful Blu-ray backup software for you to copy and back up Blu-ray disc, folder and ISO image files on PC easily. A brief introduction and exhibition of the 10 selected Blu-ray backup software. 1. Leawo Blu-ray Copy – $44.95Leawo Blu-ray Copy is Blu-ray to Blu-ray copy software that legally decrypts, rips, copies and burns your Blu-ray data onto your PC’s hard drive or blank discs. It supports 1:1 disc to disc duplication, movie-only Blu-ray backup, subtitle and audio track selection, complete movie backup, custom movie backup, high quality BD50 to BD25/DVD-9 to DVD-5 disc compression, one-click ISO to Blu-ray/DVD disc backup, etc. 2. Nero 2015 – $109.99Nero 2015 is high-quality Blu-ray writing software that also burns DVDs and CDs. While it doesn’t have decryption functionality, it can copy noncommercial discs and help you do basic edits to produce the kinds of discs you want. The software can span large files over multiple discs so that you don’t have to worry about limited space. This software is a great choice if you would like to burn Blu-ray movies. 3. 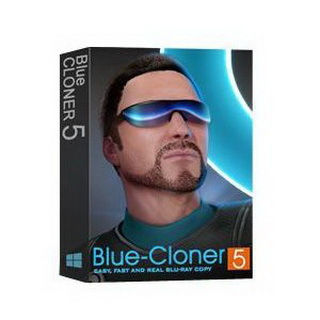 Blue Cloner – $49.99Blue-Cloner is great software for making true copies of Blu-ray movies because of its speed, simplicity and ability to create excellent-quality discs. The software can handle any Blu-ray movies or DVDs you throw its way. Overall, this software is an excellent choice for your Blu-ray to Blu-ray copying needs. It supports 1:1 disc duplication, disc protection and region code removal, selection of audio tracks and subtitles, cool and gorgeous interfaces, etc. 4. FilePop HD – $89.00FilePop HD is excellent Blu-ray to Blu-ray copy software that enables you to back up your Blu-ray collection for your personal use. With options like 1:1 copy, main movie copy and custom copy, you can create a disc with the content you want. The program has some technical jargon that can be tricky to understand at first, but it is a fully functional Blu-ray burning software application to consider. More important, FilePop HD has the capability to bypass Cinavia, a digital watermark. 5. iToolSoft Blu-Ray Ripper – $45.95The iToolSoft Blu-Ray Ripper is actually a Blu-Ray to DVD converter. It could back up movies from any Blu-Ray DVD to the hard disk drive. This program has an excellent built-in decryption system that may bypass copy protections, so that it could copy and back up the latest Blu-ray, DVD and CD discs on the market. Moreover, all the copies are high-quality and excellent 1:1 copies, regardless of the format or kind of the Blu-Ray Disk (BD). 6. 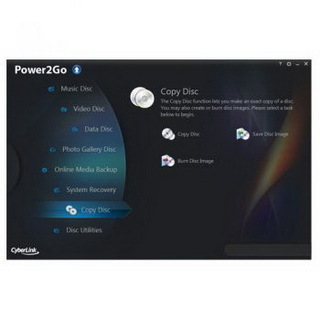 CyberLink Power2Go – $62.95CyberLink Power2Go is actually an all-inclusive media solution combo that enables you to burn and create CD, DVD and Blu-ray discs, convert video and audio files for transferring to multiple portable devices for on-the-go enjoyment, back up and recover Windows system files and data, download online videos like YouTube for offline enjoyment any time as you like, etc. Though this it lacks commercial Blu-ray disc decryption function (which could be done with a third-party plugin), the program is user-friendly, easy to understand, and a decent choice for backing up data and personal media such as photos. 7. Blu-ray to DVD Pro – $39.99Blu-ray to DVD Pro is perfect Blu-ray converting software which enables you to copy Blu-ray disc/movies to DVD or AVCHD with only one click. Its innovative HST™ will make the Blu-ray to AVCHD conversion extremely fast. The built-in SmartExpress HD video codec module and SmartBurn burn engine will ensure an effective burn. However, the drawbacks of this Blu-ray backup software are that it lacks disc decryption application to copy and back up encrypted Blu-ray discs and it actually doesn’t support 1:1 disc to disc duplication. 8. 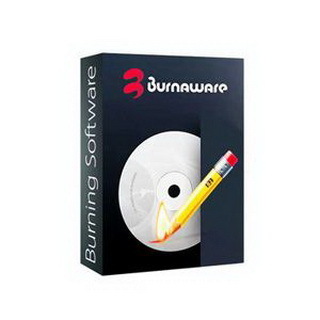 BurnAware – $69.95BurnAware is a family of full-featured and free burning software to create CD, DVD and Blu-ray discs of all types. Home users can easily burn bootable discs, multisession discs, high-quality audio CDs and video DVDs, make, copy and burn disc images. 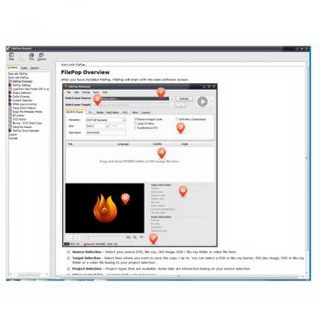 Power users will benefit from BurnAware’s advanced options, including control of boot settings, UDF partition and versions, ISO levels and restrictions, session selection, CD text for tracks and discs, data recovering, and direct copying. However, it could only copy and back up unencrypted Blu-ray discs. 9. Pavtube Blu-ray Copy – $65.00Pavtube Blu-ray Copy is top-ranked and easy-to-use Blu-ray utility for users to make complete copies of DVD and Blu-ray movies. It allows you to protect your investments against damage caused by scratches or frequent use. It supports 1:1 copies of Blu-ray and DVD movies, disc to disc, disc to folder, and disc to ISO backup, etc. This Blu-ray copy software is an exclusive Blu-ray backup tool to copy and back up Blu-ray/DVD disc, folder or ISO files, with limited features like video conversion and editing. The program is quick and easy to use, with a simple interface that makes it friendly to even novices. 10. 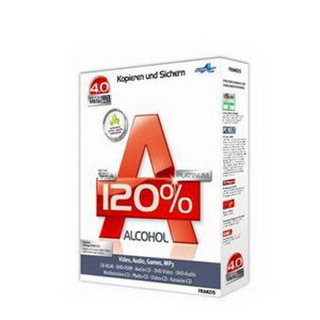 Alcohol 120% – $55.00Alcohol 120% has been a major player in the media-duplication business since before researchers figured out how to use the long, blue end of the light spectrum to record video. This software can easily create Blu-ray copies using an ISO (disc image) file, make copies of your game CDs, movie DVDs, and HD DVDs. However, the application may not be suitable for making Blu-ray copies at home, because it can only burn ISO files of Blu-ray discs. Some other features like movie-only backup and subtitles selection couldn’t be found in this Blu-ray backup software, which might be a big drawback or disappointment for movie fans. Next, let’s take a detailed look at these Blu-ray backup software apps, including: features, specifications, system requirements, availability, price, etc. Taking Leawo Blu-ray Copy as an example, you will learn how to bakcup Blu-ray on PC easily.